The 2017 Fiat 500 Abarth in Scottsdale is on the market and ready to hit the open road. Performance-based, the subcompact car is the sportiest version of the popular 500 model, offering more power and a collection of upgraded features. 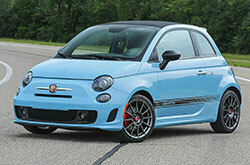 Its signature Italian styling also makes it a hit with buyers on the hunt for a fun two-door vehicle. With excellent fuel economy to match, it's hard not to adore this unique model. Take a look at our 2017 Fiat 500 Abarth review below to find out more details about its offerings. Available as a hatchback or convertible, the 2017 Fiat 500 Abarth in Scottsdale is designed for buyers who are looking for a little more oomph from the 500. The model comes with a grand selection of performance features, including better brakes with red calipers, a performance exhaust, a rear spoiler, 16-inch wheels, a turbo engine and a sporty suspension. Other components such as fog lights, premium cloth seating, a leather-wrapped shift knob, front floor mats, a sport steering wheel and a six-speaker Alpine stereo system are also included. 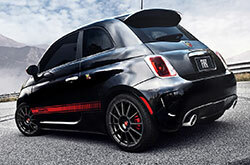 Delivering 160 horsepower and 170 lb.-ft. of torque, a 1.4L turbo engine is mated to the 500 Abarth. The powerplant comes standard with a five-speed manual transmission; however, owners can opt for a six-speed automatic that decreases the output to 157 horsepower. 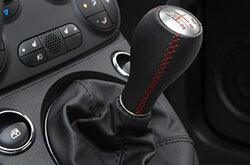 With the manual, the Abarth produces an EPA-estimated 27 mpg combined, 24 city and 32 highway. Automatic models deliver 30 mpg combined, 28 city and 33 highway. Noted in many 2017 Fiat 500 Abarth reviews, hill start assist, rear parking sensors, antilock brakes, stability control, traction control and airbags are all featured on the Abarth. Additionally, the 500 received excellent crash safety ratings from the Insurance Institute for Highway Safety, proving it's a top-notch vehicle. Please call 844-823-2999 for further assistance. 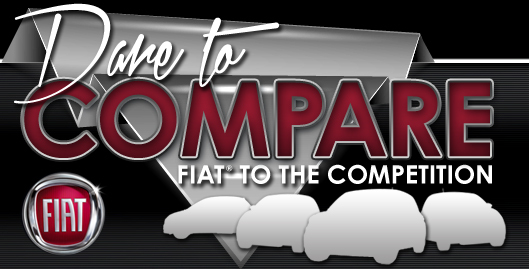 Find out why people in the market for new cars near Phoenix consider the venerated 2017 Fiat 500 Abarth rather than the 2017 Mini Cooper, Honda Fit and the Mazda2. You may find that it is a precise match for you, with its finely crafted styling and clever features. Confirm if it's suited for you using our 2017 Fiat 500 Abarth evaluation as well as the included vehicle comparison tool; and after, make sure you view finance incentives on our website. 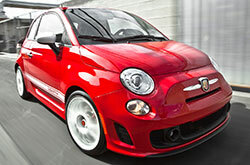 As your neighborhood car dealer, we're the place to go if you want to find the popular Fiat 500 Abarth. We hope our comprehensive 2017 Fiat 500 Abarth review helped you find the details you need to make a final buying decision. 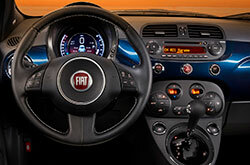 Stop by to love a test drive at FIAT of Scottsdale, where you can get to know the Fiat 500 Abarth up close. 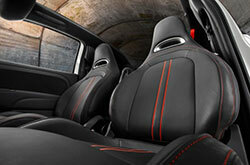 For those anxious to see it now, we've embedded a video recording that highlights its interior features.